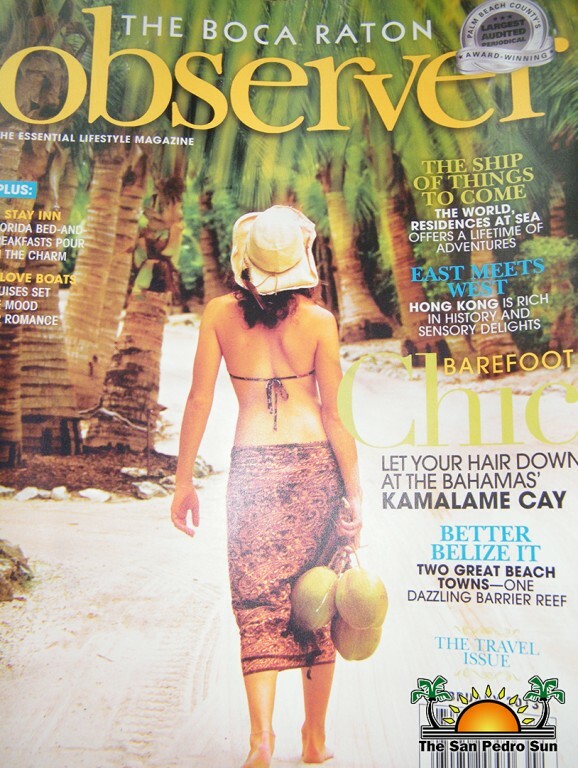 Two popular Belizean tourism destinations are featured in the February issue of “The Boca Raton Observer”. An award-winning lifestyle magazine from Boca Raton, Florida, USA, the magazine features everything from destination reviews to travelling advice. 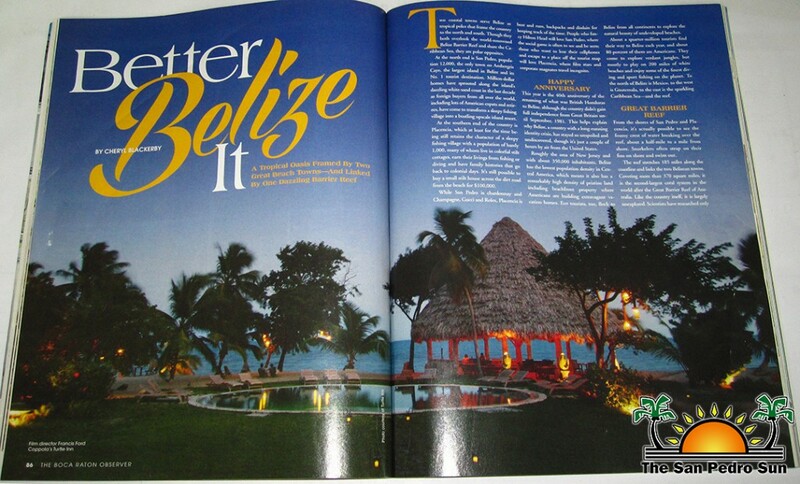 Focusing on two of Belize’s most popular destinations, The Observer highlighted San Pedro, Ambergris Caye and Placencia. The author of the article is Cheryl Blackerby, a writer and photographer from West Palm, Florida. Blackerby has based many of her works on tropical destinations including the Bahamas, the Caribbean, Mexico and Central America. Many of her stories are frequently featured in such magazines as The New York Times, The Miami Herald and The Houston Chronicles. 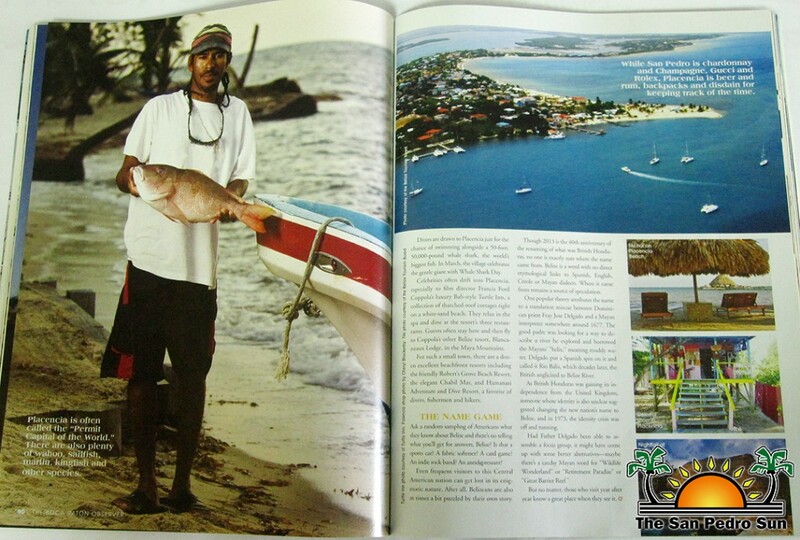 Blackerby also held the position of executive editor, writer and photographer for “Destination Belize” in 2010. In the article, Blackerby refers to Belize as “a tropical oasis framed by two great beach towns and linked by one dazzling barrier reef.” The article highlights the characteristics that make San Pedro and Placencia so unique and different. “While San Pedro is chardonnay and Champagne, Gucci and Rolex, Placencia is beer and rum, backpacks and disdain for keeping track of the time.” Blackerby’s article focuses on the tropical and modern amenities of the destinations. 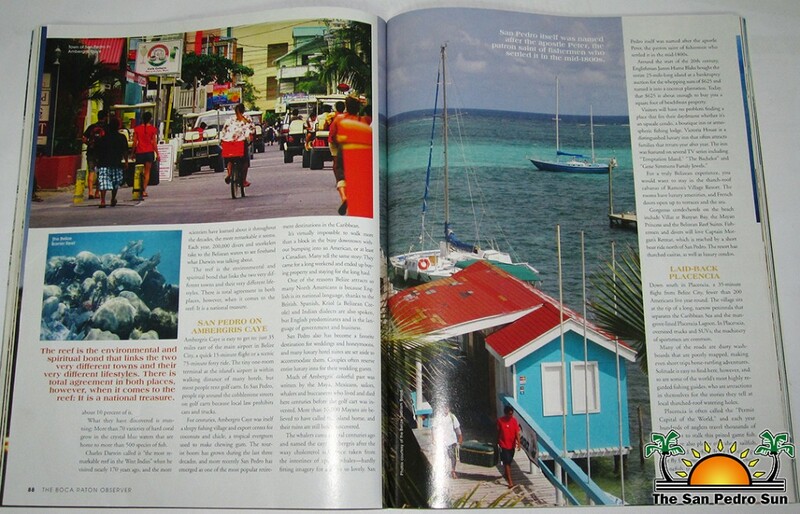 These types of international articles serve as great publicity for Belize, reaching a readership of potential visitors who want to come and be enchanted with our beautiful country. To read the full article on Belize, visit http://www.bocaratonobserver.com.